Agathi Poo Poriyal, this is quite a rare dish that we make at our home (Mom's home). It is rare due to the availability of agathi poo. It is not easily available in markets. We get this flower in packets in supermarket occasionally. I have not seen this flower in Chennai markets so far but we get it in my mom's place(Coimbatore) rarely. This agathi poo is very good for health especially for problems related stomach ulcer. If you could get this flower anywhere, then give this recipe a try. Green Chilli - 2 No. 1. 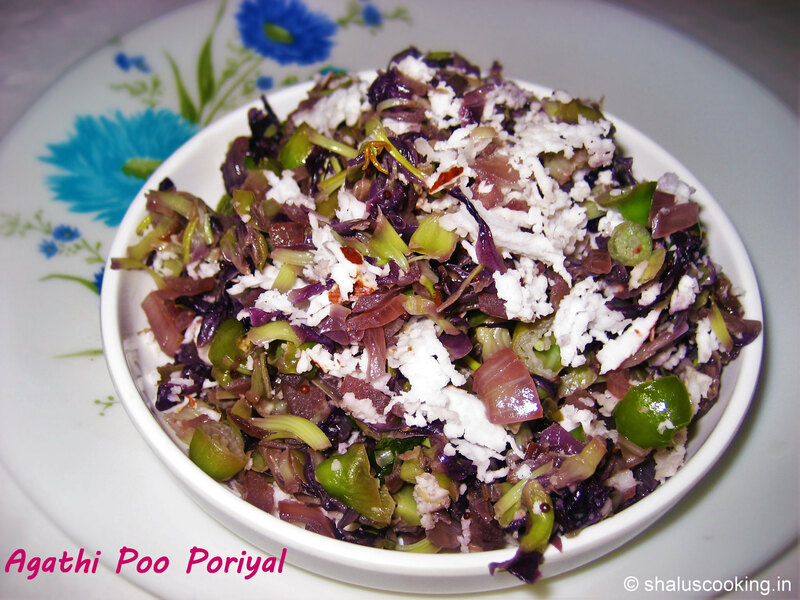 Keep all the ingredients ready to make agathi poo poriyal. a. Wash and chop the agathi poo. b. Finely chop the onion and green chillies. 2. Heat oil in a pan, add chopped onion, green chillies and curry leaves. Saute till the onion turns transparent. 3. Add the agathi poo and give it a nice mix. The flower will start to change the color. Sprinkle some water and cook till done. 4. Once the flower is cooked, add the grated coconut and mix it well. 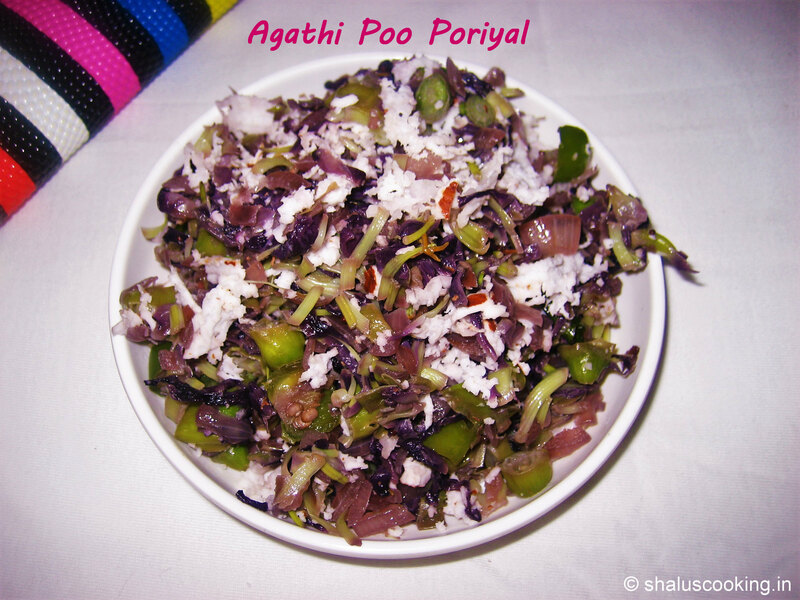 Healthy Agathi Poo Porial is ready. Serve it as a side dish for rice varieties.